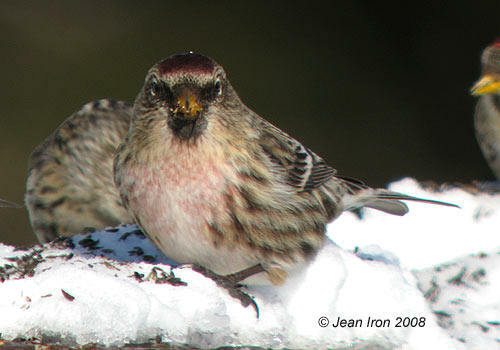 Female "Greater" Common Redpoll (rostrata) differs from nominate flammea by its larger size, and being browner, darker and more heavily striped with a darker face and heavier bill. Norland, Ontario, 3 January 2008. 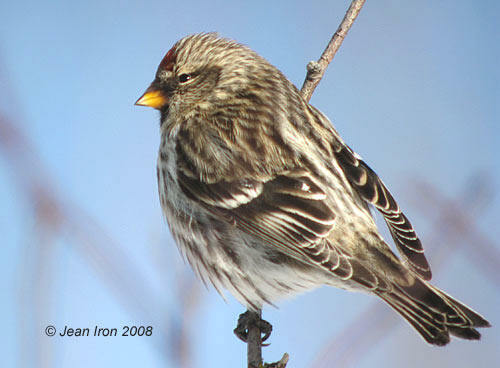 Adult male of probable "Greater" Common Redpoll (rostrata). Differs from nominate flammea by less extensive and less intense red on under parts, darker face, browner and darker overall coloration, thicker bill and larger size (Godfrey 1986). Norland, Ontario, 2008. 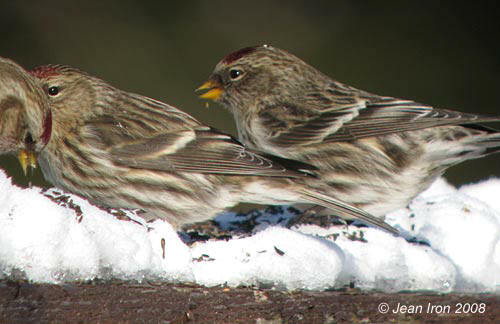 Female "Greater" Common Redpolls (rostrata) showing darker face, browner and darker overall coloration, and more heavily streaked than nominate flammea. Norland, Ontario, 3 January 2008.